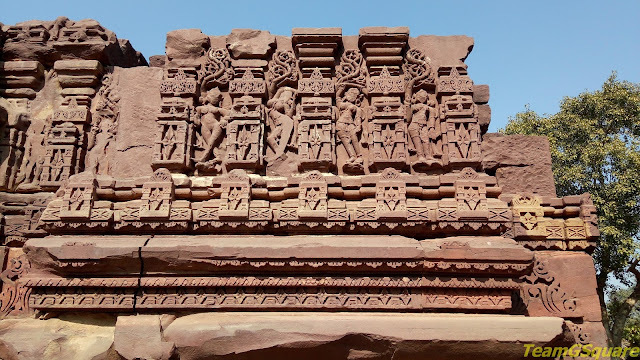 After exploring the world heritage site of Sanchi followed by the caves of Udaygiri, our next destination was Vidisha, a town lost in oblivion. As we were extremely hungry, we decided to break for a quick brunch on reaching the town of Vidisha. We zeroed in on a small eatery just at the entrance of the town and had a tummy full brunch of Poha with Kachori. 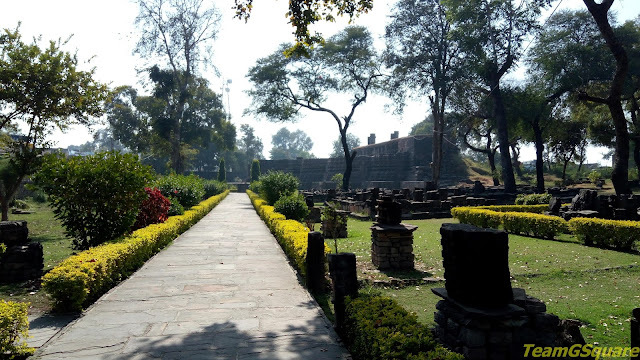 Vidisha has its own place in the history of Central India right from the times of Samrat Ashoka, but sadly this place doesn't attract any tourists. We found out the way to 'Vijay Mandir', also popularly known as the 'Bijamandal' and reached there. 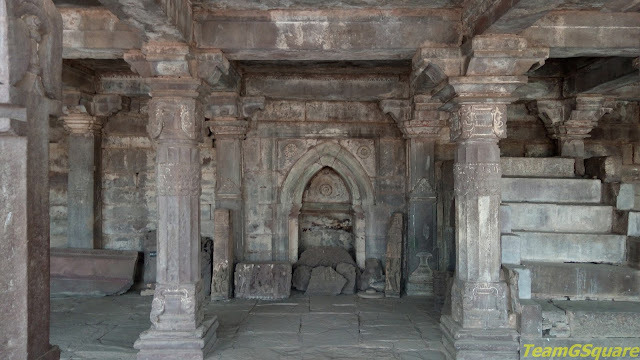 The history of Vijay Mandir is rather unique and represents the historical affairs back then. The temple was initially built during 8th century AD and further improvised by the Paramara King Naravarman in 11th century AD. Later, this temple underwent a series of destructive attacks between the 13th and 16th century AD finally falling into the hands of Aurangzeb, who brought down the temple until its platform and built a mosque during 1700 AD. The mosque was under worship till 1965, after which a ban was imposed on offering prayers here by the then chief minister of Madhya Pradesh, Dr Dwarka Prasad Mishra as the ASI declared Bijamandal as a protected monument. However, an alternate arrangement was made for construction of a separate Idgah nearby. This place was first reported by Sir Alexander Cunningham, the director of ASI in 1874 who acknowledges the presence of Vijay Mandir, and its demolition by Aurangzeb who converted the temple into Bijamandal. 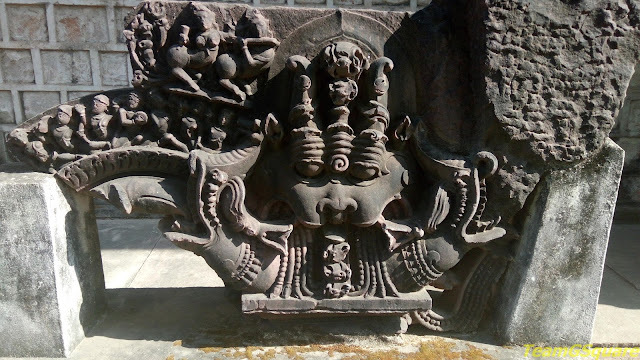 The ASI has done a fair job in maintaining all the idols/sculptures found during excavations in the temple complex. 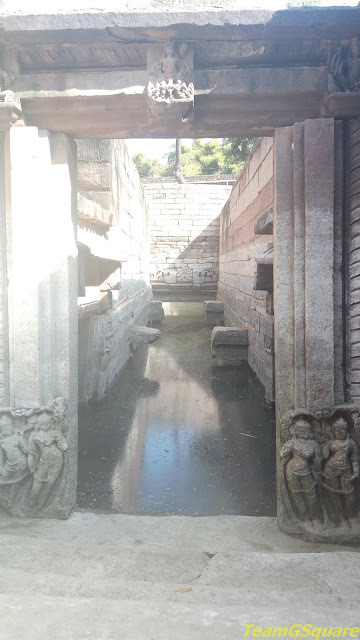 However, it seems that a lot more history is hidden and needs to be further explored as this place was closely associated with Samrat Ashoka, Gupta Kings and the Paramara dynasty. 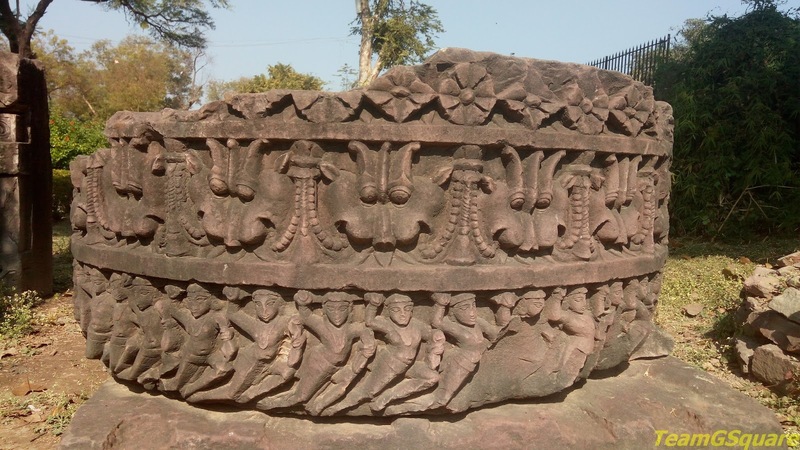 Samrat Ashoka was the governor of Vidisha during his father Bindusara's rule. His first wife Devi was the daughter of a rich merchant of Vidisha. This place also played a significant role during the reign of Gupta kings, though there are no architectural references to prove the same. The place then rose back to prominence under the Paramara kings in the 11th century AD. This temple originally is believed to have been massive in size, comparable with Konark's Sun Temple in Orissa. The same was quite evident from the huge platform of this temple. 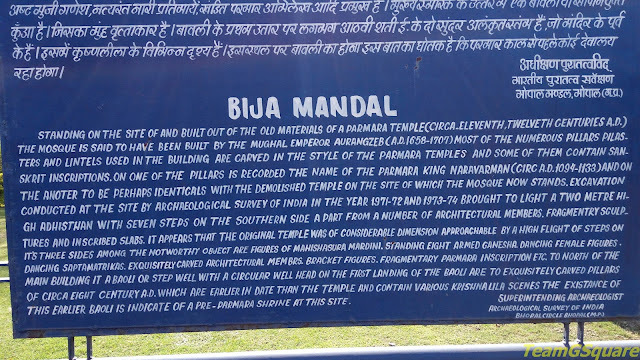 We enjoyed exploring Bijamandal and only wondered how grand the original temple would have been. A small baoli (step-well) belonging to the 8th century AD is situated in the temple complex. 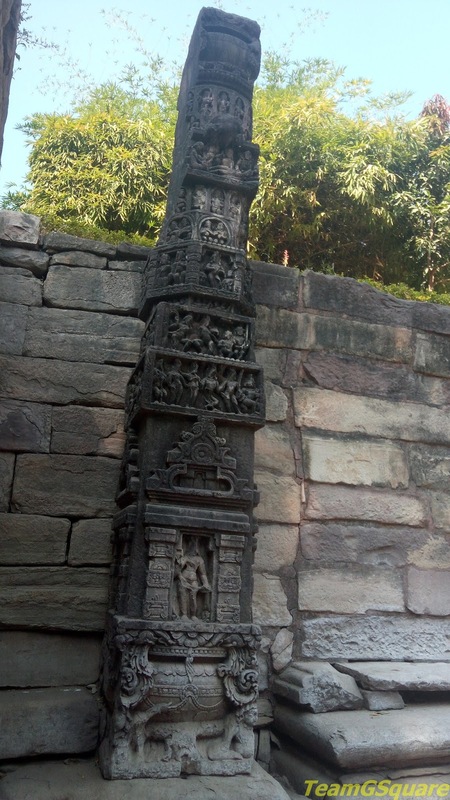 There are two exquisitely carved pillars at the entrance of the Baoli. We also spent some time exploring the ruins, which are kept in a systematic manner inside the complex. Distance from the nearby major town: Vidisha is a district head-quarter and is about 55 km from Bhopal. Accommodation: There are some small lodges here, but better options would be Gateway Retreat at Sanchi maintained by MPSTDC. Where to eat: There are plenty of options to eat here. Even the remains look absolutely magnificent! Thanks for sharing this. This place contains so many fantastic architectural works,very nice captures. I have to get to MP one of these days!